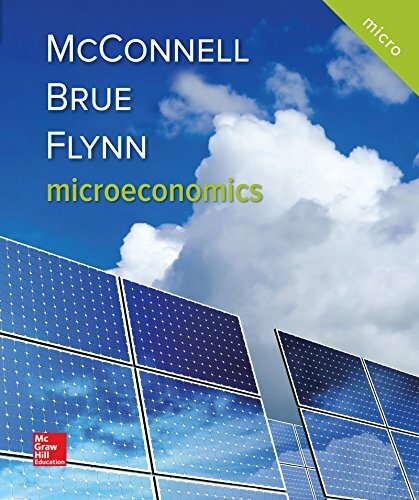 McConnell/Brue/Flynn has long set the standard for providing high-quality content to instructors and students alike. Known for versatility, comprehensiveness, and persistent innovation, it has remained one of the most trusted and reliable choices for principles of economics courses. The 21st edition continues to benefit from author Sean Flynn’s influence with new discussions on strategic behavior, game theory, unconventional monetary policy and interest rate normalization. A robust set of content designed to facilitate classroom engagement through peer instruction has been developed to align with the learning objectives in the text. New innovations like interactive graphs and videos combine with SmartBook’s adaptive reading experience and even more algorithmic and graphing assessment content in Connect to help students succeed in the course. McConnell/Brue/Flynn is expertly tailored to support a variety of course formats, institutions, and students. Its depth of content and breadth of resources continue to be unparalleled in the introductory market.